The CURT clamp-on hitch bike rack is an ideal car bike rack. It is designed to clamp onto a 2" trailer hitch ball mount shank, and provide secure transportation of up to three bikes at a time. 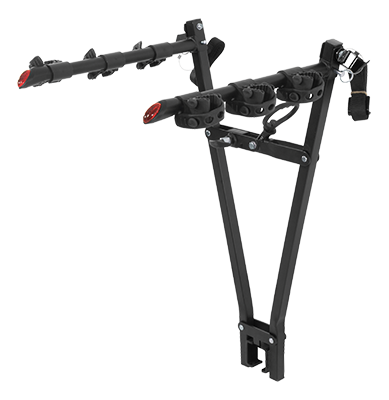 This bike rack hitch mount also has fold-down arms, a powder coat finish and built-in reflectors.